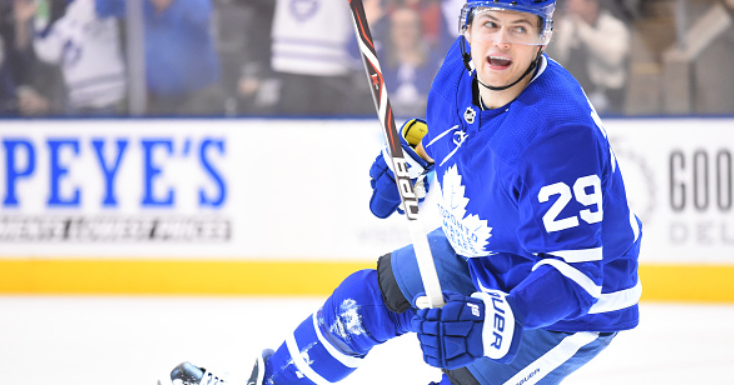 There isn’t much that can rain on ‘The Parade’ they’re planning in Leafs Nation these days, but the William Nylander saga could be the next Gretzky high stick if not dealt with before long. So what exactly should Wunder-kid GM Kyle Dubas do? It’s been suggested he wants as much as 8 million per season, which makes about as much sense as saying his father Michael’s flow is as slick as William’s these days. Trying to fit him in at a more reasonable number would clearly be a better option for the franchise, but if I’m Nylander and someone’s willing to splurge, why wouldn’t I try to get paid? Brendan Shannahan recently weighed in, essentially trying to paint him as greedy for not following the Red Wing way and taking less to keep the core together. Rather disingenuous coming from a guy who certainly had no trouble fighting for more lucrative contracts during his own career, not to mention comparing a kid looking for his first big pay day to a bunch of superstars in their twilight who’d already pocketed tens of millions, but he’s management now…So, with that in mind, lets take a look at some possible alternatives. Many (myself included) have suggested this is the route the Leafs should go, and the chorus only grew stronger after the acquisition of free agent superstar John Tavares. They have an embarrassment of riches up front, and a clear deficiency on the back end. Why tie up nearly 40 million dollars on four forwards while leaving yourself weakened elsewhere? Makes perfect sense…Assuming anyone wants to deal one. Noah Hanifin and Dougie Hamilton were just dealt for each other so it’s doubtful they’d be available. Shea Theodore was mentioned in a possible Erik Karlsson deal but that was for another defenceman. Dallas wasn’t willing to deal a young player for EK either. Oliver Ekman-Larsson signed in Arizona and isn’t likely on the market. Then there’s their own division. GM’s are often reluctant to trade with rivals (perhaps the only thing saving Pierre Dorion from himself here) so why would any of them give up one of the many talented youngsters? (ie. McAvoy, Sergachev, Chabot, Ekblad, Dahlen). This may not be popular opinion, but in a sense a Leafs hold a lot of the cards here so see how much the guy really wants to play. I fully (and all too well) understand you want to get paid what you’re worth. You only have one shot at making a career out of this, and should be paid well for your services, but eventually he’s got to realise what his actual value is, and stop listening to agents floating fantasies in his head. Part ways. If the Blue Jays and Drake can go back to back, why not Kyle Dubas? Could he land another big free agent fish by prying a certain number 65 (and whichever pyjamas he used to wear) out of the bay area to the big smoke to presumably, uh, hang out with Borje Salming? If Nylander isn’t willing to sign, it’s best to get something for him. Problem is, if the Leafs simply acquire picks or prospects for him and try to develop a defenceman through the draft, it’d take some time. Perhaps more than this current roster has. They’re in need of an impact player and while this move would be good for the future, well, the future is now. This seems like something that would’ve been done already if it’s what Nylander really wanted. At his age, and seeing the lengthy contracts other young players have gotten, why not try to get the security of a long term deal? The NHL is changing, and as many have pointed out, young players are getting more money, sooner than ever before. Going against the grain here isn’t likely. Not something common place in NHL, but why not try to get a more established player in return for Nylander and a pick or two? Would any of the Western conference teams be willing to part with a DMan in exchange? Could they pry one of Nashville’s big four away? Sweetening the pot couldn’t hurt, and David Poile isn’t afraid to make a splash, but Don Corleone himself may not be able to make an offer he can’t refuse to move one of his star blue liners.